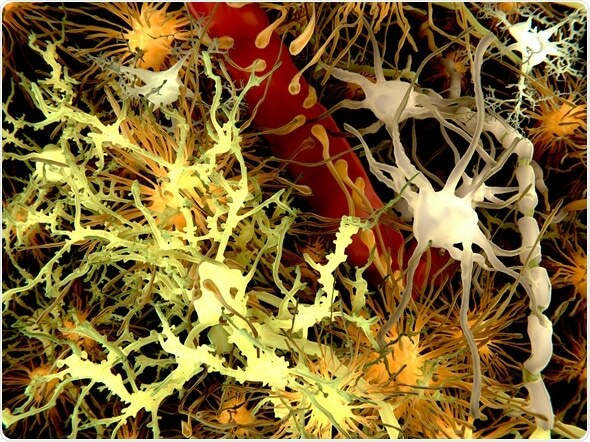 Neurological diseases are some of the most challenging areas for drug discovery and development. There is significant unmet need in the marketplace, with an associated high degree of disability, lost productivity, and loss of quality of life. Progress has been non-linear at best in the development of therapies for neurological diseases, and for many diseases there is still a need for earlier diagnosis. The field presents the added challenge of crossing the blood brain barrier (BBB). Nanoparticles, that is particles between 1 nm and 100 nm in size, offer a potential solution not only for more potent therapies that can cross the blood-brain barrier, but also improved biomarkers for neuroimaging. A new category of product, the theranostic, combines a diagnostic biomarker with a therapeutic. In neurological disease, theranostics can allow imaging of a disease state of the brain and the ability to treat that disease at the same time. Pittcon 2017, March 5-9 in Chicago, will feature presentations on advances in the development of nanoparticles for imaging and theranostics. Advanced laboratory technology is required in order to work with nanoparticle products for therapeutic applications. Field-flow fractionation is a method of separation that can be used for particles between 1 nm and 100 micrometers in a liquid medium. The sample is separated without the use of any type of packing or stationary phase. Instead, separation is carried out by physical forces, such as liquid flow, centrifugal force, temperature gradients, or gravity. Postnova Analytics Inc., an exhibitor at Pittcon 2017, offers a range of field-flow fractionation systems. Light scattering is the most common method for measuring the size and zeta potential (electrokinetic potential) of nanoparticles. Light scattering analysis can be used to answer important questions in the development of a biotherapeutic nanoparticle, such as whether the nanoparticle mixture meets the intended specifications, efficacy of its targeting groups, and physical properties of the mixture. Wyatt Technology Corp., another Pittcon 2017 exhibitor, make light scattering instruments that are suitable for development of products for imaging and theranostic applications. Magnetic resonance imaging (MRI) and positron emission tomography are the primary imaging technologies used in diagnosing brain disorders. Nanoparticles containing metals such as iron, gadolinium, and manganese are often used as contrast agents for brain imaging. Superparamagnetic iron oxide (SPIO) nanoparticles are of particular interest because they have a large surface area, magnetic properties, and low toxicity. Biodegradable nanoparticles of poly(n-butyl cyanoacrylate) coated with polysorbate have also shown some potential as carriers of drug across the blood brain barrier. They can be used to deliver molecular imaging probes that are normally unable to permeate the BBB for imaging of amyloid plaques. Another nanotechnology-based approach for brain imaging is the use of stem cells loaded with magnetic nanoparticles. This allows MRI monitoring of the stem cells as they migrate to injured brain and spinal cord tissue. Nanoparticle constructs that contain diagnostic and therapeutic functions at the same time are known as “theranostics.” Theranostics go beyond imaging diagnostics and therapy, they can be used to monitor pharmacokinetics, distribution of the particle in the tissue, and accumulation of drug at the target site. Imaging biomarkers can also be crucial in tracking progression of disease, success of therapy, and predicting outcomes. Such uses would also contribute to the trend toward personalized medicine. A Pittcon 2017 presentation, “Nanomedicine for Functional Imaging and Therapy of Brain,” by Paras Prasad of SUNY at Buffalo will illustrate how innovative design of a multifunctional nanoparticle can transcend ideas of what a drug or diagnostic can do it the brain. The researchers used their nanoparticle platform to build an optical probe and contrast agent for photoacoustic and magnetic resonance imaging of the brain. Its targeting and payload capabilities allow it to deliver a genetic material or drug to treat a brain disease or enhance a cognitive ability. The particles also function as optical nanotransformers to convert skull penetrating infrared light into a blue light that is absorbed by channel rhodopsin. Essentially, the nanoparticle allows optogenetic control of neuronal activities at specific sites within the brain. The ability to deliver imaging agents and therapeutics across the BBB using nanoparticles has the potential to transform the field of neurological disease, and may be the key to curing some diseases that currently have inadequate treatment options.